Russian Prime Minister Dmitry Medvedev during a TV interview on Nov. 30. Claims of Russian doping during the 2014 Sochi Olympics are “political manipulations” part of a new campaign against Russia, Prime Minister Dmitry Medvedev said on Thursday (November 30). "Actual doping is 30 percent of the problem; the rest is political manipulation"
The International Olympic Committee is currently re-testing all Russian athletes' samples from the Games after the former head of Moscow's anti-doping laboratory blew the whistle on what he described as a state-sponsored doping programme. 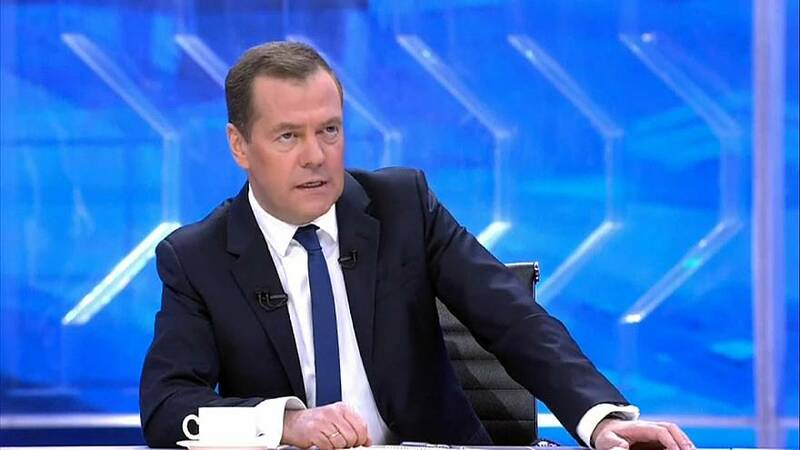 "That (Sochi Olympics) was a brilliant victory and no foreign forces can make us believe the opposite," Medvedev said in a live interview with Russia’s main television channels. The premier added that current relations with the United States were in an "appalling" state - the worst he could recall - though he found Trump "constructive" and "friendly". "The impression he makes is that of a friendly political figure ready to establish full-scale contacts and who reacts reasonably towards everything," Medvedev said. When Trump took office in January, he said he wanted warmer ties with Russia. But relations have since frayed further after US intelligence officials said Russia had meddled in the presidential election, which Moscow denies. Commenting on Washington's latest round of sanctions against Moscow, Medvedev said these were clearly aimed at limiting Russian gas supplies to Europe. He pointed out that Russia had endured sanctions for most of the 20th century and had learned to live with them. Medvedev served as Russian president from 2008 to 2012. He said in the interview he no longer had any ambitions for the top office and would support Vladimir Putin if he runs for reelection next March. Putin, 65, has so far kept silent on whether he plans to seek a fourth term in the upcoming presidential election. "Our party, and I personally, will support him in this in every possible way," Medvedev said. "Because we believe that he is a successful president who is leading our country." Could the 'Doping Diaries' bring down the Russian Olympics team?